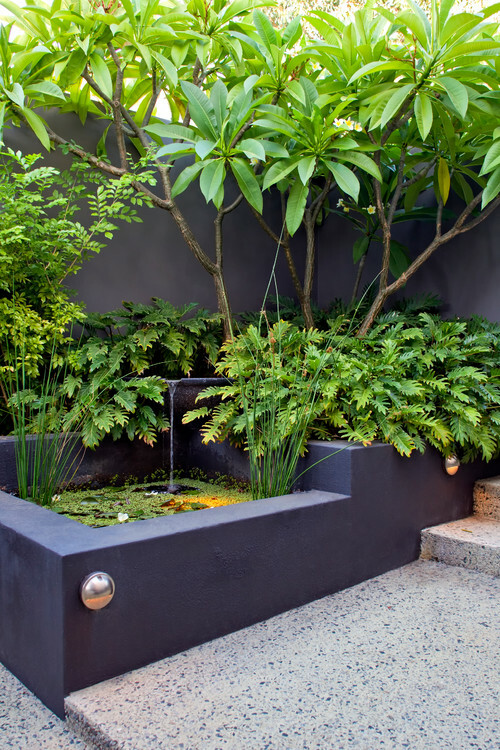 This garden design for a small courtyard shows how compact areas in the garden can still be lush and inviting. 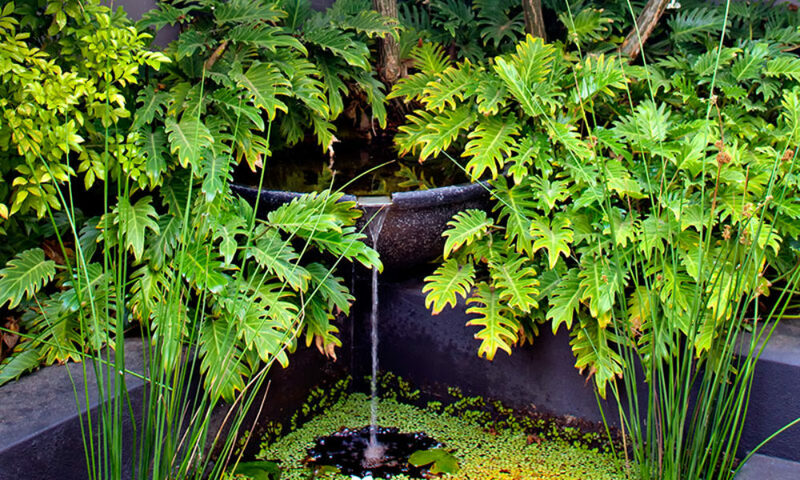 This waterfeature sits outside of the main bedroom and the wall of the reservoir is set at the sill height of the room so it is visible from the bed. The terrazzo bowl overflows to the naturalistic reservoir which is rich with waterplants and fish. Great also to see that our Australian gardens are constantly selected to feature in international design collections.